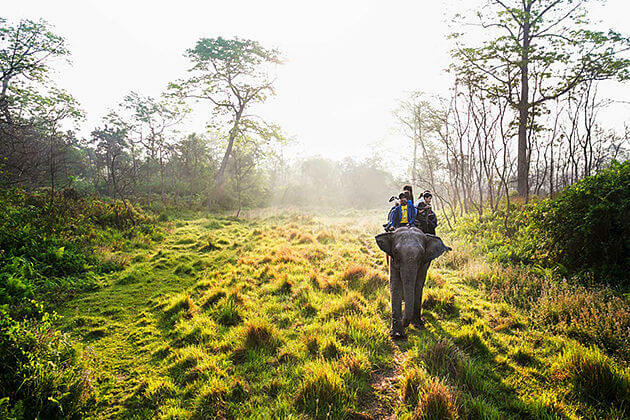 Nepal is not only the home to the majestic mountains, breathtaking landscapes, curved roads, and glorious meadows but it is also the home to more than 100 different ethnic groups. Since each of the ethnic group has their own cultures, traditions, languages, and lifestyle, there is a variety of interesting, fun and vibrant festivals. 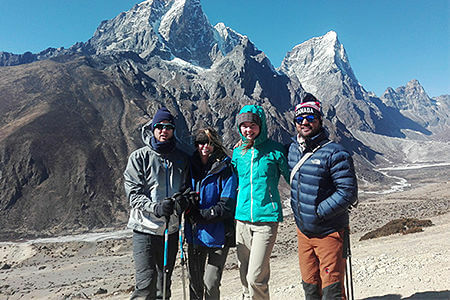 If you are planning Nepal tours and want to get to know more deeply about the culture and heritage of the country, exploring these wonderful Nepal festivals is an indispensable part. 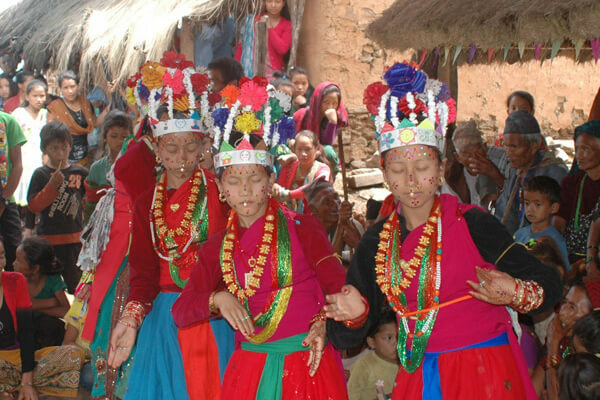 Nepal is said to be the country of festivals. They even often say that there are more festivals than the day they have in a year. In this article, we will give you 5 most popular festivals in Nepal, which you can’t miss once coming to Nepal. 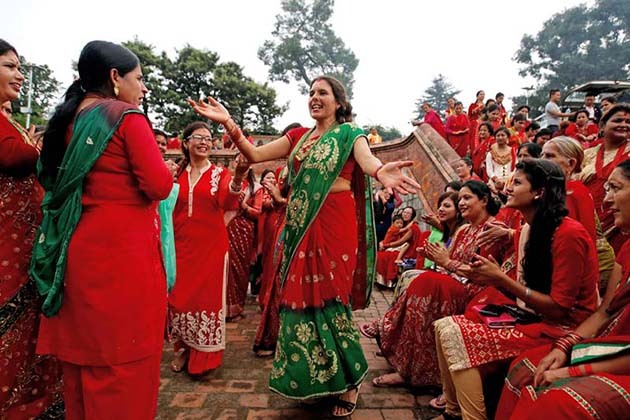 Teej festival, which is also known as Haritalika, is celebrated by Nepali women for the good, long, healthy life as well as the success of husband, also for the harmony between husband and wife. The Teej, which lasts for 2 days, falls in September and since married women will come back home to celebrate this festival, this is a great opportunity for women to see their parents as well as to visit their friends around. It’s great to have a special occasion when everybody gathers and sees each other. In the first day of the Teej, which is called Dar Khane Din, women, both married and unmarried, gather in their parents’home and spend the night to make good tasty cuisines. The next day, they go to the temple. The married women pray for her husband to have good health and long life; while the unmarried women worship to have a good husband. After that, they start singing and dancing. 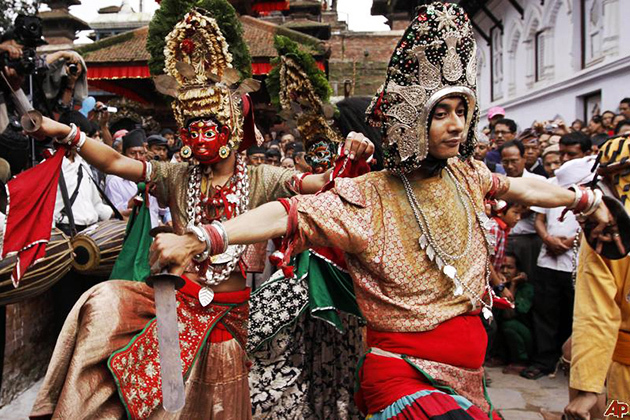 A little folk music and traditional dances are the addition to Nepal traditional values. Dashain, which is also called as Dasain or Bijaya Dashami is the greatest Nepal festival, falling on October and November. The main feature of The Dashain Festival in Nepal is to gather all of the family members and friends, from those who live nearby to those who stay in different parts of the country or stay abroad. All of them return home to celebrate this festival, and people in Nepal get their longest holiday as well. Mostly, it lasts for 15 days; hence, people get 15 days off. The Dashain Festival is celebrated in the celebration of Victory Over Evils. There are two stories behind this. The first one is the story about Ramayana got victory over Demon King Ravana, who had kidnapped his wife Sita. The second one is the story about the Goddess Gurga won the Mahisasur Demonon on the 10th day after the continuous fight lasting for 9 days. The Tihar, also known as Deepawali, is second Nepal’s biggest festival which falls on the end of October or November, right after Dashain festival. 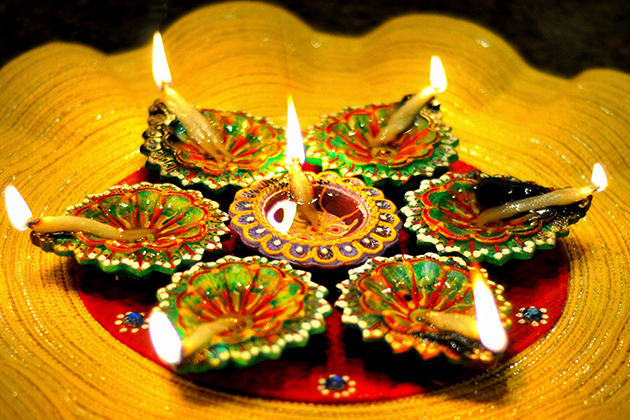 Lasting for 5 days, the Tihar is known as the festival of lights, since all of the houses and even the entire city are decorated with lights, and its major feature is to honor crows, dogs, cows and to worship the Goddess of Wealth – the Goddess Laxmi. The first day is to worship crows, the messengers of death. They are believed to be busy all year round, and this is the only day for them to rest; hence, it is really important to make sure that the crows are comfortable and happy, or else they will bring bad news and bad things in the next year. The second day is to thank dogs, the gatekeepers of death. Nepal people believe that dogs guarantee the souls of the dead, so the souls can safely get to heaven. On this day, people often wear dogs with Tihar Tika and calendula garlands, paint their foreheads with red cinnabar, after that people will treat them with a fancy dinner. The third day, Nepal people worship cows and Laxmi, the Goddess of Wealth. People get up earlier, clean their rooms and start to thank cow. After a bath, cows will wear red Tika and wreaths, with holy strings tied to their tails. 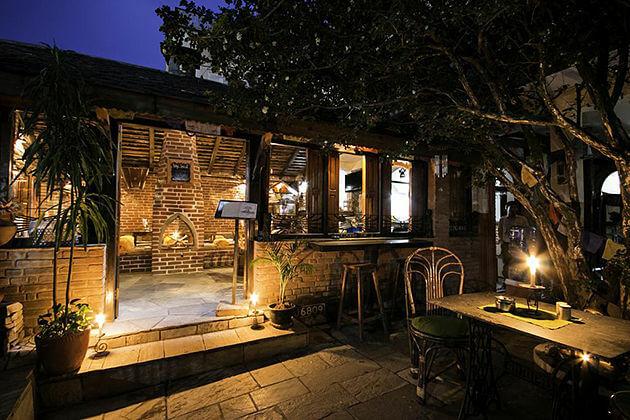 At night time, candles, oil lamps, and lights are lit up at the doors, steps and even on the rooftops. Nepal people believe that if they make their home become very luminous, they can attract Laxmi’s attention. 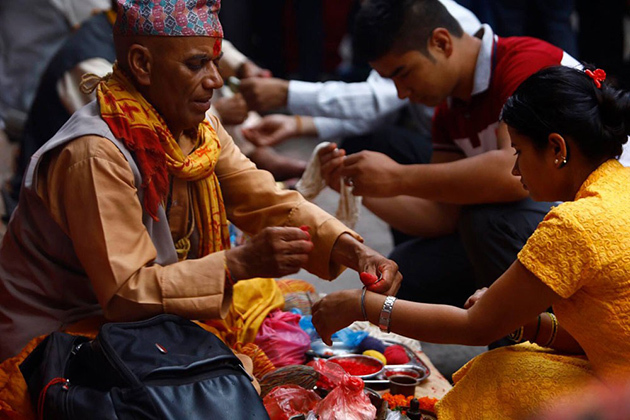 The fourth day is seen as the new year of Newari community in Kathmandu Valley. After a grand banquet, they take the turn to worship the death of Yama Panchak, exchange Tihar gifts. The last day is for brothers and sisters. They will gather and accept Tihar quotes on their foreheads. The sisters give the brothers Shaguns (kind of candy) and then the brothers put Tika on their sisters then give them a little money. This celebration is to enhance the close relationship between brothers and sisters. 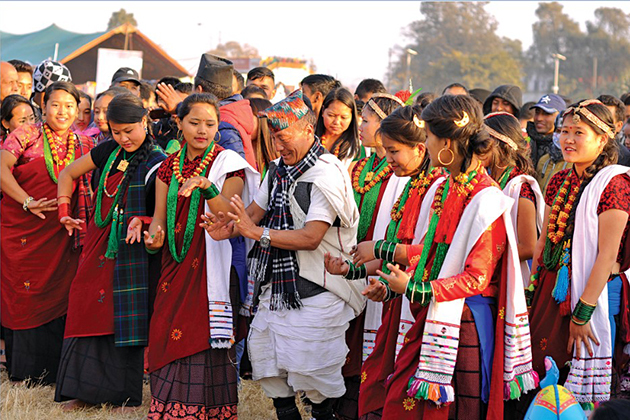 Losar, one of the major festivals in Nepal, is the festival of Nepal highlanders. These days, people visit monasteries and stupas to pray, to worship and to have a blessing from the monks. 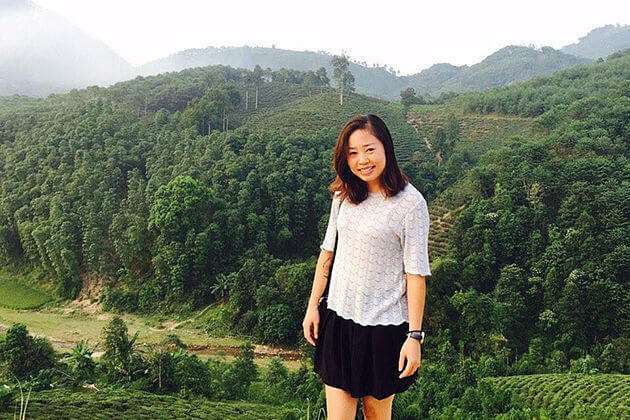 The monasteries, the stupas and the rooftops of the houses are all decorated with colorful prayer flags and other beautiful items in order to wish for peace and harmony for the nation. People wear their most beautiful costumes, perform their singing as well as dance to welcome New Year. There are three types of Losar: Sonam Losar, Gyalpo Losar, and Tamu Losar. The first day of a year is celebrated in Nepal, and the Government of Nepal also has announced public holiday for this New Celebration. It is known as Navavarsha (New Year). This occasion falls in the second week of April, and people have different ways of celebration. They can go picnic, arrange big parties. 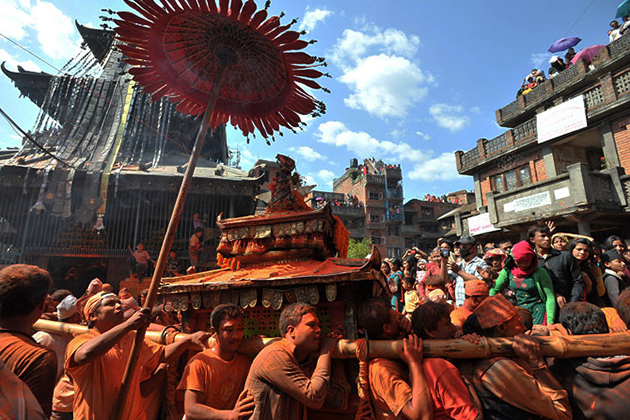 This age-old Hindu festival of Holi, which is celebrated every year in the community of Nepali for 2 days, falls in late February or early March. 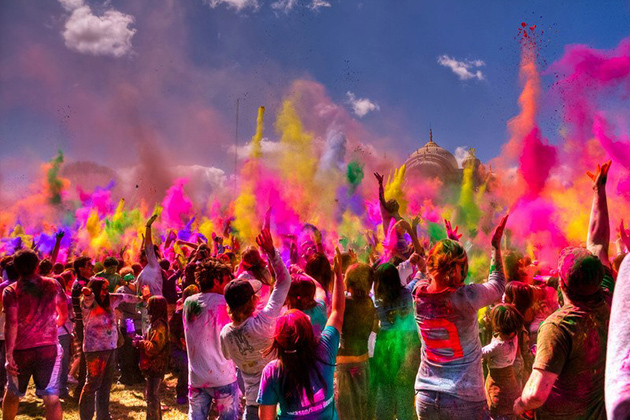 During the festival, people throw colored powder and water at each other. As the Hindu mythology told, the festival is to celebrate the death of Holika, the demon trying to kill Vishnu. Like Indian people, Nepali people also celebrate the festival with water sprays, water guns, dry colors, and water balloons. Janai Purnima is a Hindu family festival. This festival, falling on the full-moon day of Shrawan or Bhadra month, is one of the most sacred festivals of Hindus. During the festival, the bond of pureness and security is celebrated. 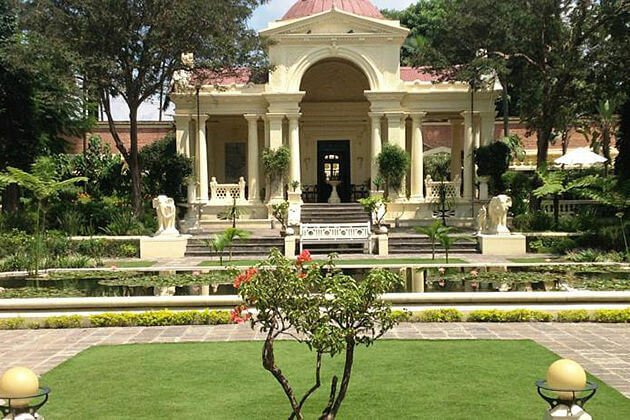 Back to the 17th century when Nepal King Pratap Malla lost the prince – his son. The loss was too big for the queen to handle that she cried all day long. Therefore, the king held this festival to cheer the queen up and to make her understand that there were a lot of people also lost their relatives and closest ones who they loved a lot. The cow procession, music and masked dances are the highlights of the festival. Local people believe that cows help the deceased to reach Yama, the Lord of Death. Cows are decorated and led through streets and lanes by people. 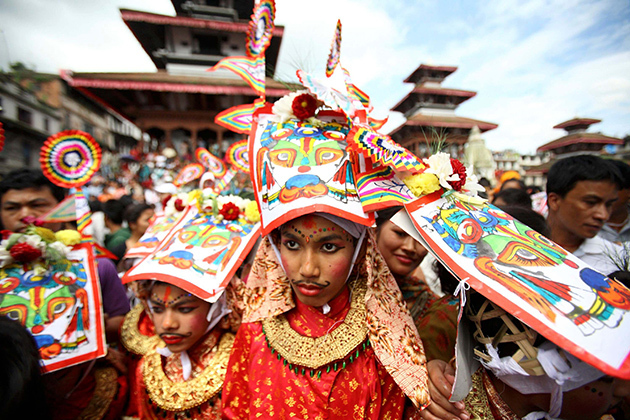 Indra Jatra is the festival to pray for a good harvest in the next years. 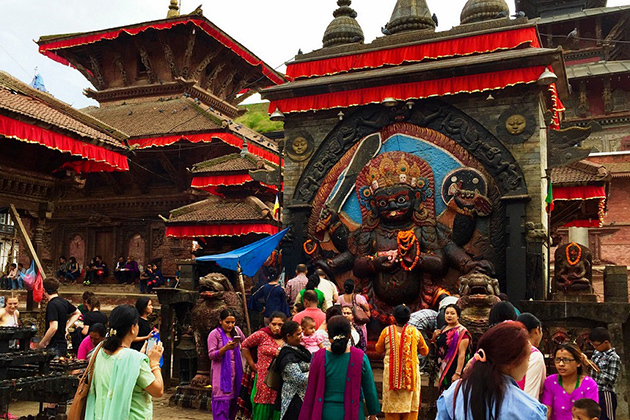 The images and sculptures of Akash Bhairab are displayed in every home of Nepali people. Also, family members in Nepal drink a traditional liquor called raksi. This festival is known for demon, devil masked dances as well as the display of gods and goddesses’ images. There are three common forms of masked dance called Sawa Bhakku, Majipa Lakhey and Devi Pykhan. 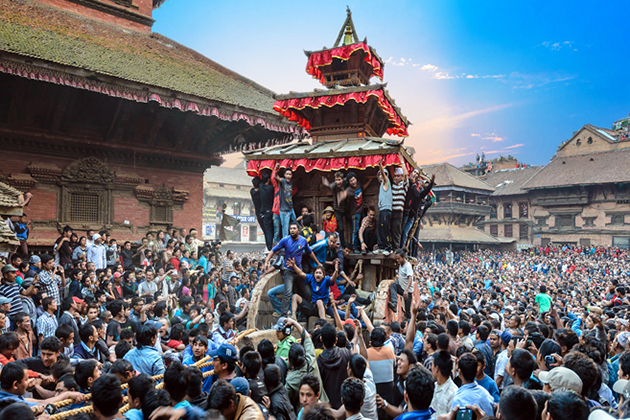 Indra Jatra is also followed by Kumari Jatra, in which the living goddess is driven in chariots on the streets. This grand rally, which is organized in Bhaktapur at the beginning of Nepali Bisket month, marks the end of serpents. Therefore, it is also known as Bisyau Jatra or slaying of serpents. 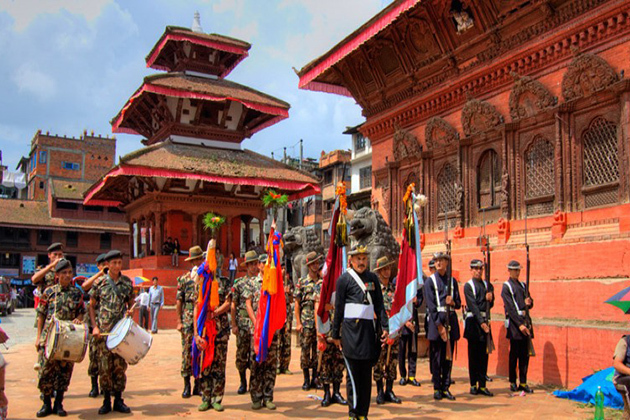 At the Durbar Square, a huge tug of war is organized between the Western and Eastern part of the country. The local people join the rally, dance, sing and play music, as well as throw color powder at each other. In this ceremony, tongue piercing is very popular.